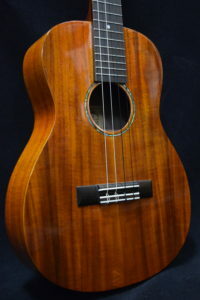 These days, there are some really good ukuleles being made all over the world. 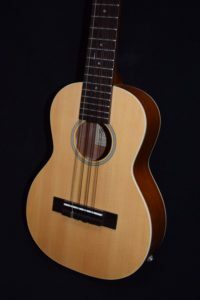 Weʻve searched and scouted and found some really good manufacturers of relatively inexpensive ukes, some of which are outstanding in looks, tone and playability at low prices. 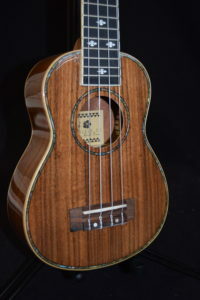 We have arranged for these makers to build quality instruments to our very particular specifications with our “Maui Ukulele Co.” and “Hula Ukes” brand names on the headstocks. Occasionally, we find really nice instruments with other brand names: “Pukanala”, “Makai” and a few others, and we carry those, too. 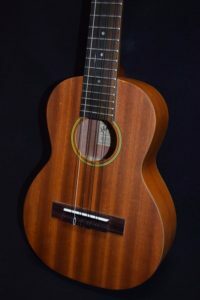 Some of these are similar to other brands of imported ukes, but we’ve gone the extra mile in specifying top-quality parts; geared tuning machines where other makers use cheaper friction pegs, for instance. 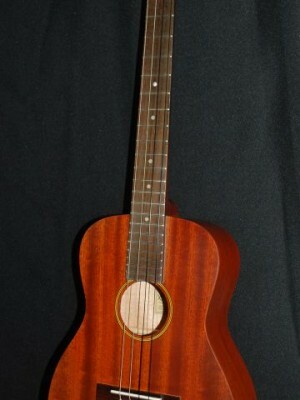 We also inspect each individual uke and adjust the action to the perfect balance between volume and ease of play. If you can’t afford, or aren’t yet ready for one of our handmade Meles, these are the perfect instruments for you; supremely playable, good-looking and at unbeatable prices! The Big Daddy! Tuned like the 4 high strings on the guitar (EBGD). 21 med. nickel frets. Great tone! Rosewood fingerboard and bridge, bone nut & saddle, die-cast nickel-plated 18:1 precision geared tuners. Echoes of Aloha strings .